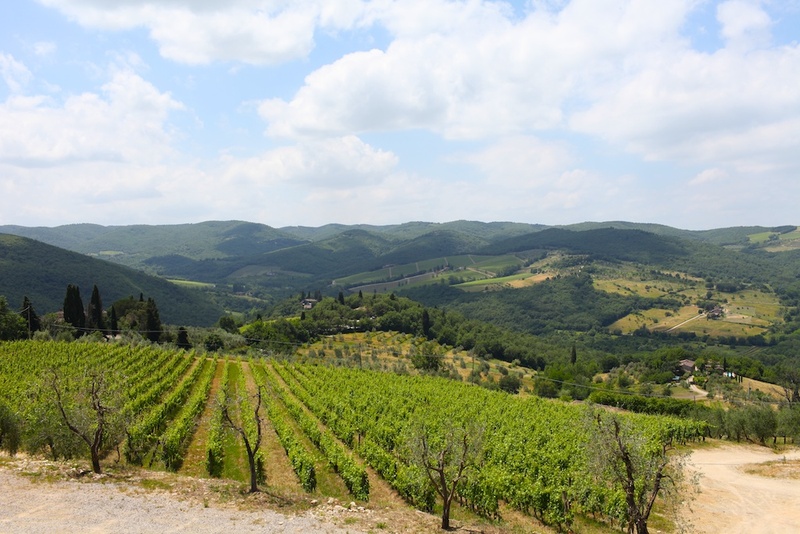 Feeling Super Tuscan | A Visit to Fontodi. | A Continuous Lean. When people think about the food in Italy, it’s probably safe to say that steak is not the first thing people would call out. Though, the pleasure of Bistecca Fiorentina and a bottle of Super Tuscan are rarely out shined. The massively thick chunk of rare meat paired with a delicious wine is a meal that I enjoy roughly twice a year in Florence if I am lucky. And while I only get to enjoy this meal a handful of times, it’s something I constantly crave it throughout the year. Every New York steak house is blunted by my desire for super thick and rare beef with crispy edges. No matter how good the steakhouse, no matter how delicious the bottle, nothing compares to having the real thing in Italy. 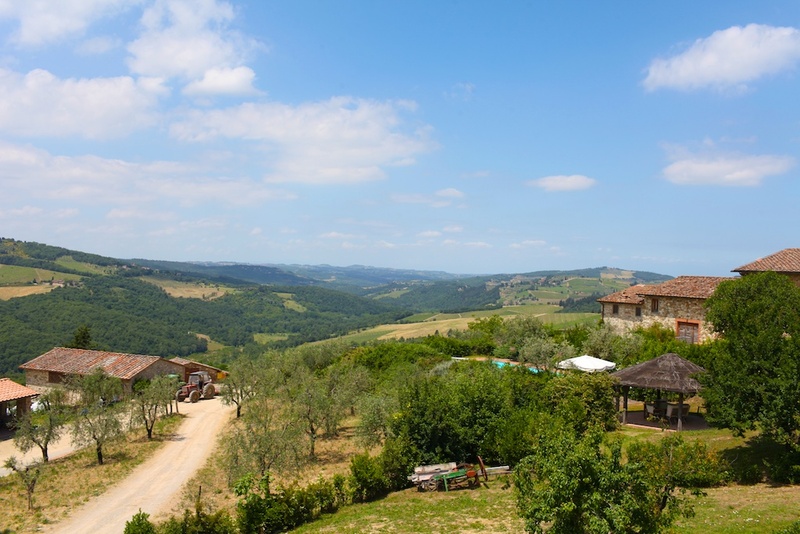 On my most recent trip to Italy, I decided that the best way to spend my last day would be to make the roughly hour drive from Florence to Chianti Classico near the town of Panzano to spend the day at the Fontodi winery with its owner Giovanni Manetti. A visit to Fontodi was a recommendation by the respected Italy-based food writer Faith Willinger. She extolled Fontodi as both an excellent producer and also an estate that is known to be extremely beautiful. Both of these facts were quickly confirmed. Looking back, Faith couldn’t have suggested a better place to visit and it would be difficult to find a vineyard that is more hospitable. 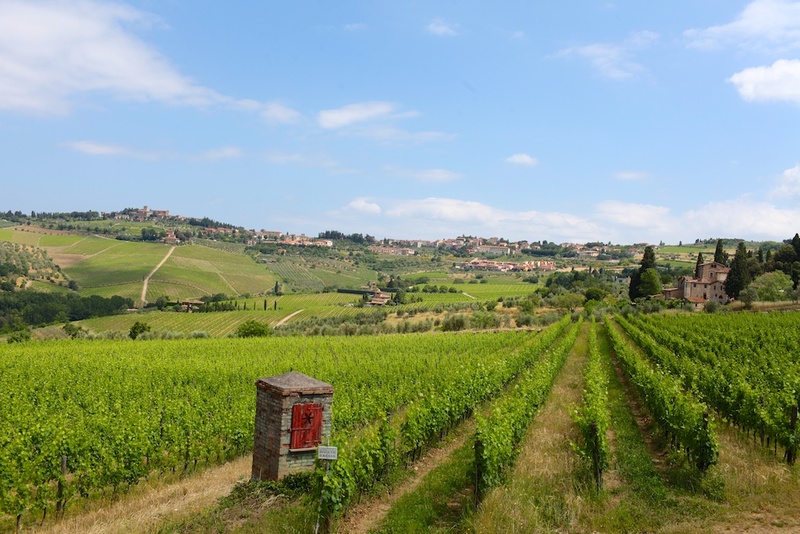 Situated in some of the best grape growing land in Tuscany, the area is referred to as â€œConca d’Oroâ€ (the golden shell), due to the way it is situated to receive extended exposure to the sun. 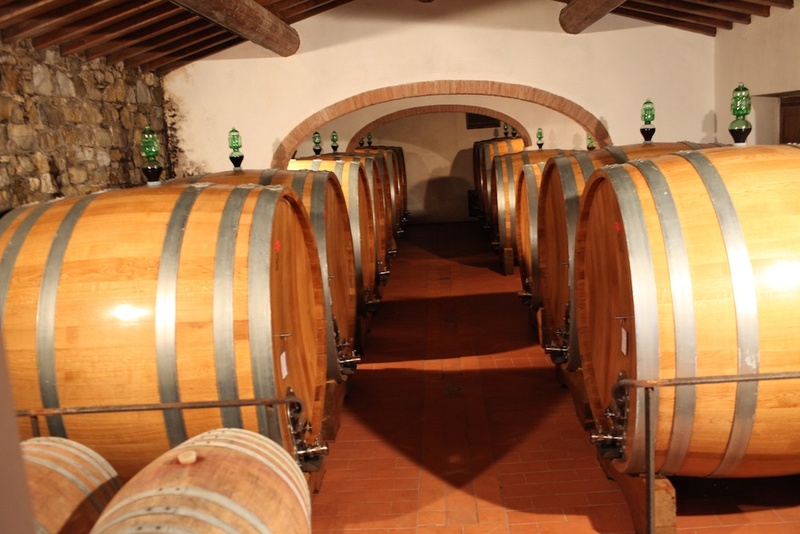 Fontodi is best known for Flaccianello, its excellent Super Tuscan. 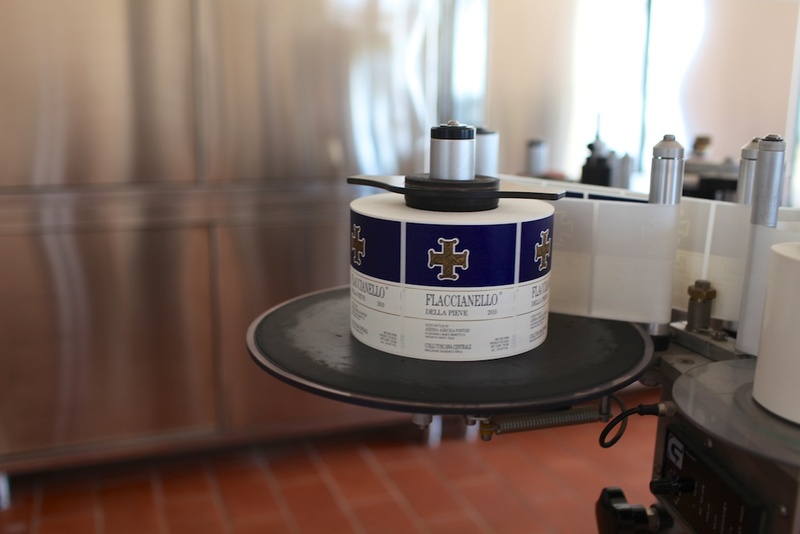 The flagship wine is made using a delicate process that has been refined and masted over several generations by the Manetti family. The family is also a long-time maker of terra cotta and many of the orange tiled roofs of Florence have been made by the family for hundreds of years. 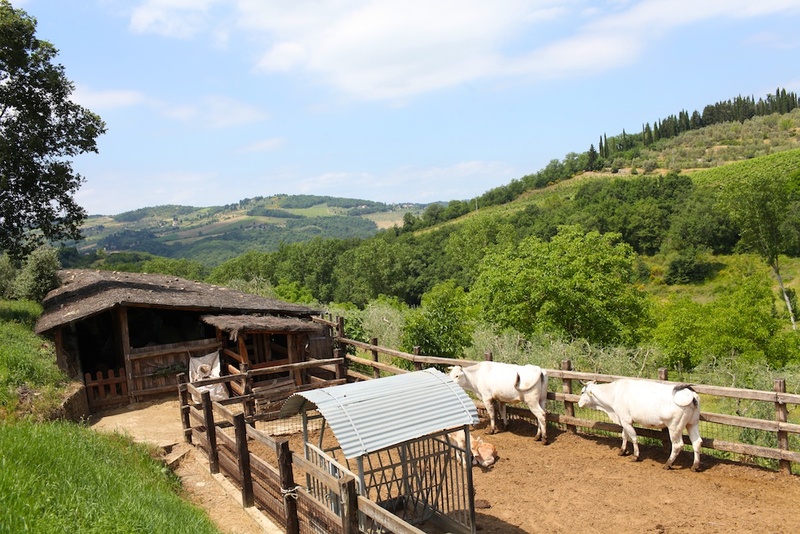 The Fontodi estate is completely organic and bio-dynamic and the farm where the fruit is grown is a entirely self-sustaining closed-loop agricultural system. 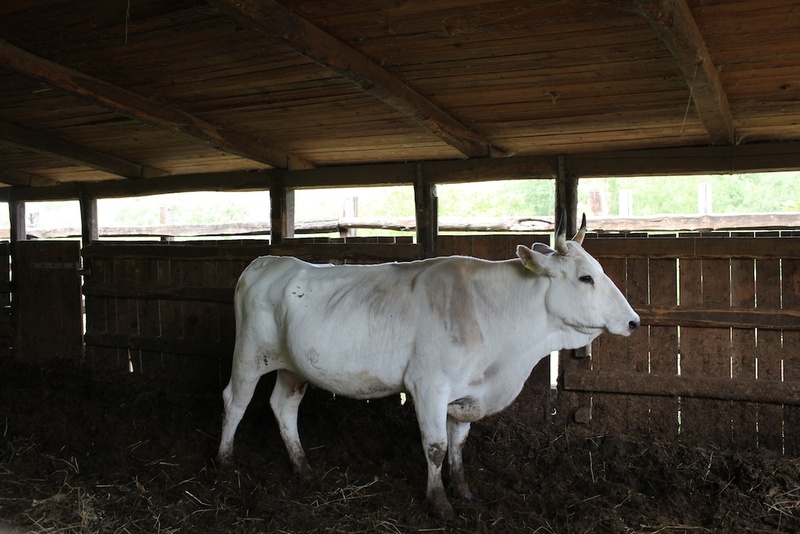 The cattle produces the fertilizer, which feeds the grapes and the barley that grows between the rows of the vineyards. The hay helps to challenge the grapes for water and push the vines to produce the best fruit. It seems counter intuitive, but struggling or dying vines help make the best grapes. The plants want to the fruit to taste good so a bird will eat it and help to literally plant the seed and help the plant to survive. So keeping the vines on the edge of survival can help to make better wine. The barley is cut and fed to the cows and the cycle continues with the end result being delicious grass-fed beef and the perfect wine to accompany it. 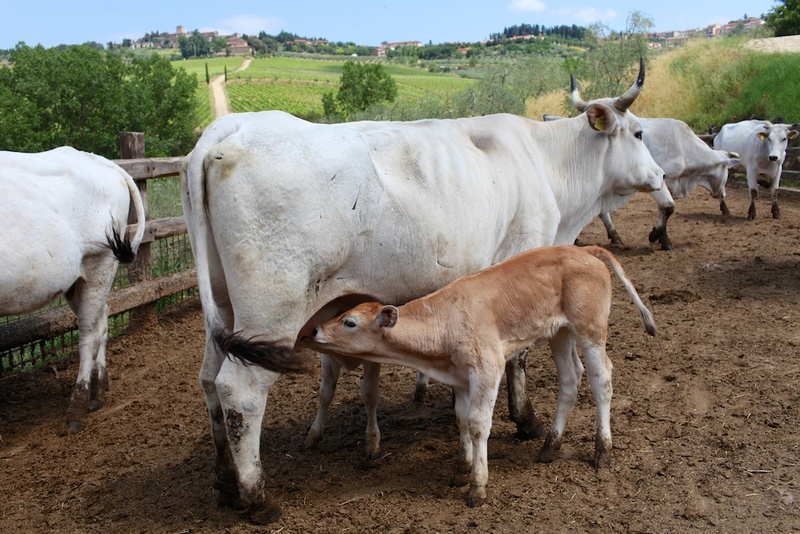 Fontodi owner Giovanni Manetti told me as we toured the vineyard that he choose this specific breed of cattle because it tastes best with his wine. After touring the estate and seeing the impressive winemaking facilities, he grabbed two bottles of Fontodi wine and a bottle of olive oil (which is also delicious and made on the Fontodi land as well), Giovanni asked us to join him and his friend Dario Cecchini (the famous butcher; more on this shortly) for lunch in town. After the meal we were told that we would better understand the wonderful relationship between a delicious piece of beef and great glass of red wine. 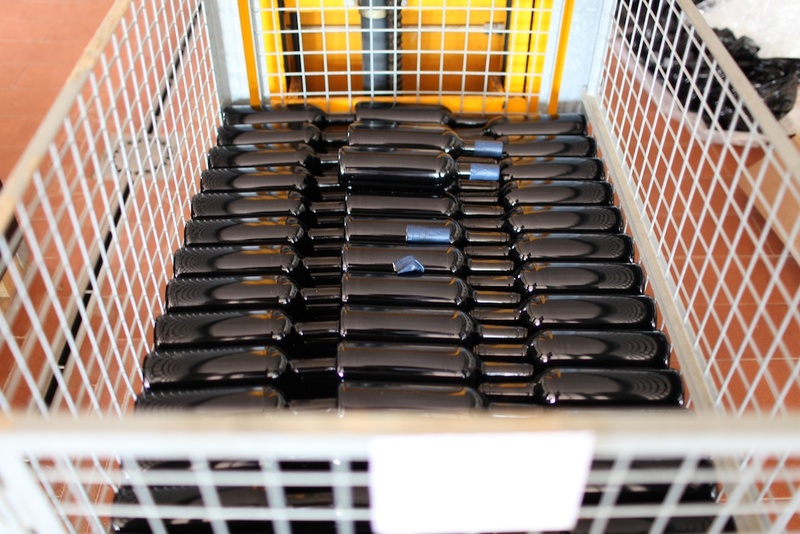 Seeing a vineyard is one thing, experiencing it this way is another. 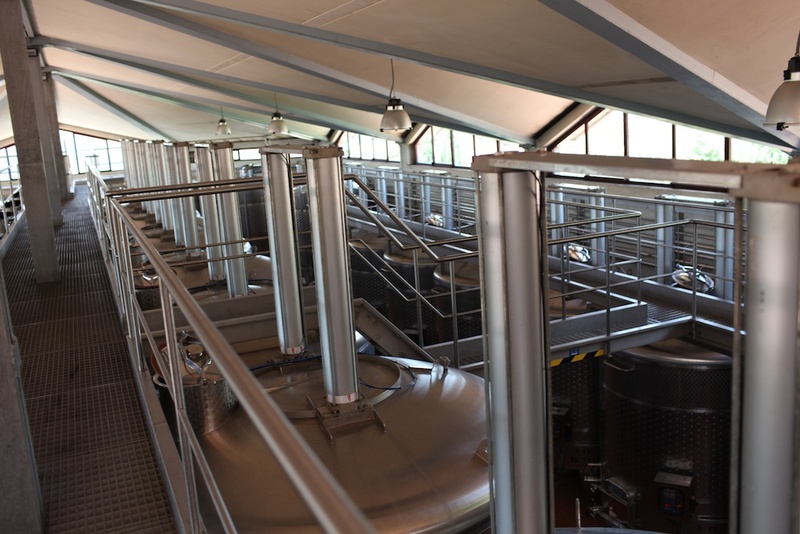 The above glass device was invented by Leonardo da Vinci over 500 years ago and helps to prevent oxidation of the wine in the tanks. Fascinating. I wondered if this was an invitation only thing? I would like to visit next time I pass through (and buy some wine). @peter You can certainly visit anytime they are open, would be best to call ahead. I’m sure they do tours if you do make it out there. I love Fontodi. 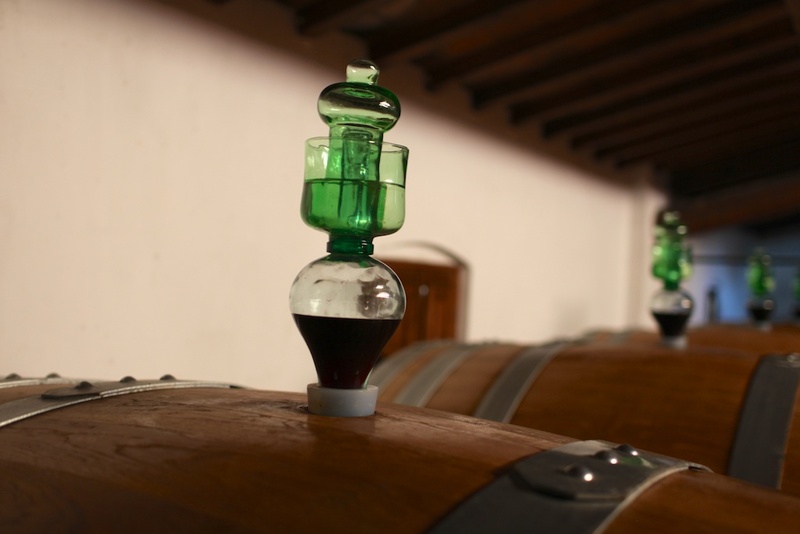 Their Chianti Classico is traditional and consistent. 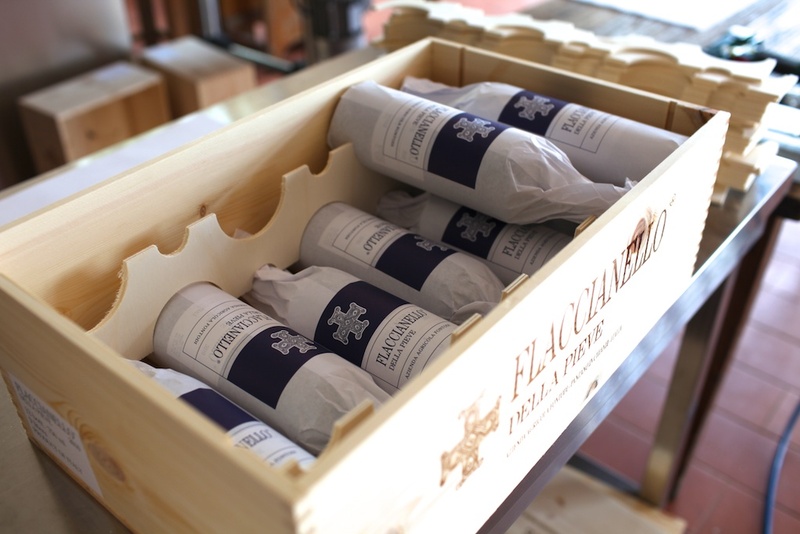 It’s hard for me to think of Flaccianello as a “Super Tuscan” because it is 100 % Sangiovese, not blended with lesser grapes like Cabernet or Merlot. Thank you Michael for your reply. I think a lot of your website. What about the butcher? I was really looking forward to some meat pics. great shots. the cows are beautiful! 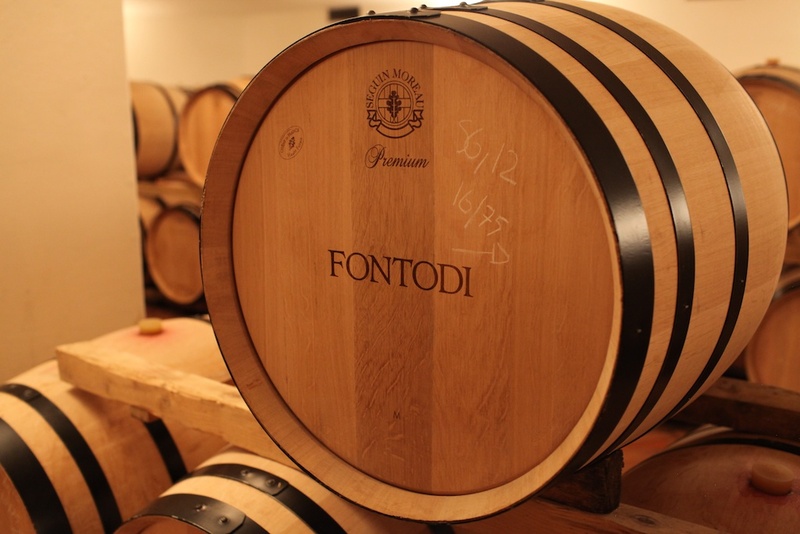 Great piece on Fontodi! I have been fortunate enough to have vacationed in Panzano a number of times. 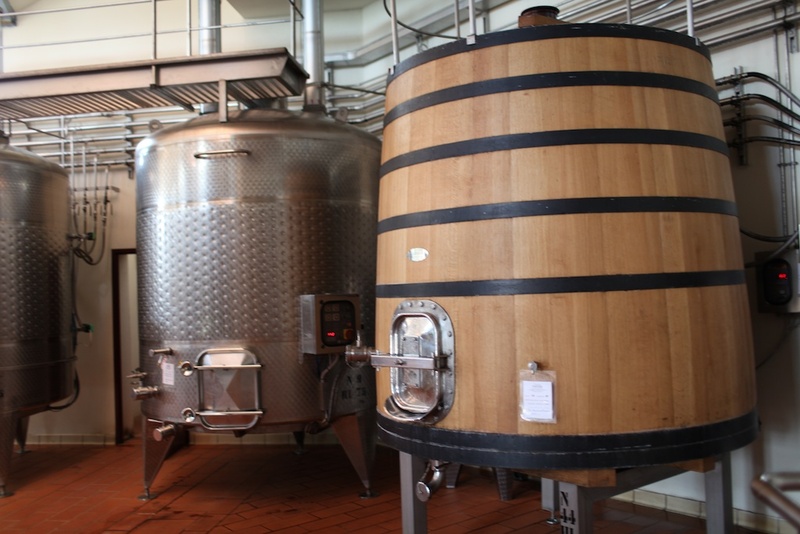 The Manetti are gracious hosts and certainly among the best producers of wine and olive oil in the region. Now, how about an entry on the meal with Dario? No trip to the area is complete without a visit to Italy’s most famous butcher! So beautiful. 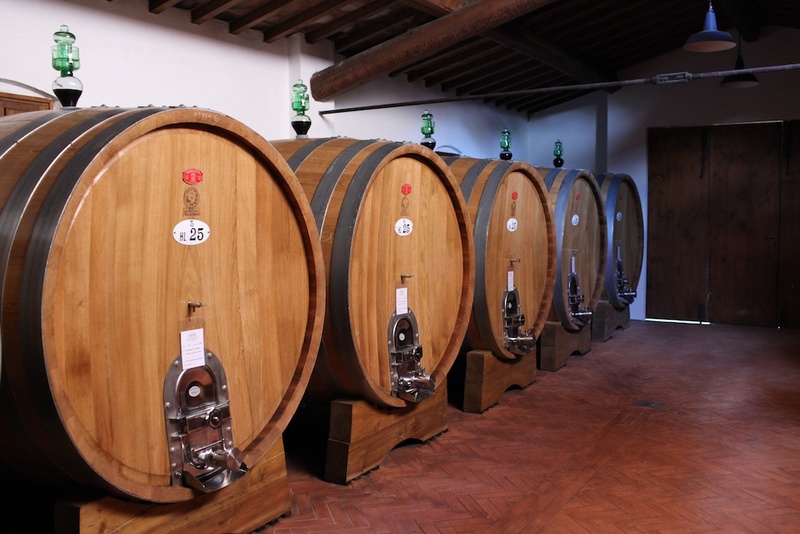 I think if i had the option to pick up my things and live any sort of life it would be as a wine maker in tuscany.